Angus confusion. After more than a decade on the job, it feels like old news. But every time a new chain carries “Angus beef” it comes up again. When a retail giant like Wal-Mart announces it’s selling Angus beef, and then some news outlets report somebody’s definition of what that means—Angus confusion is back in full force. 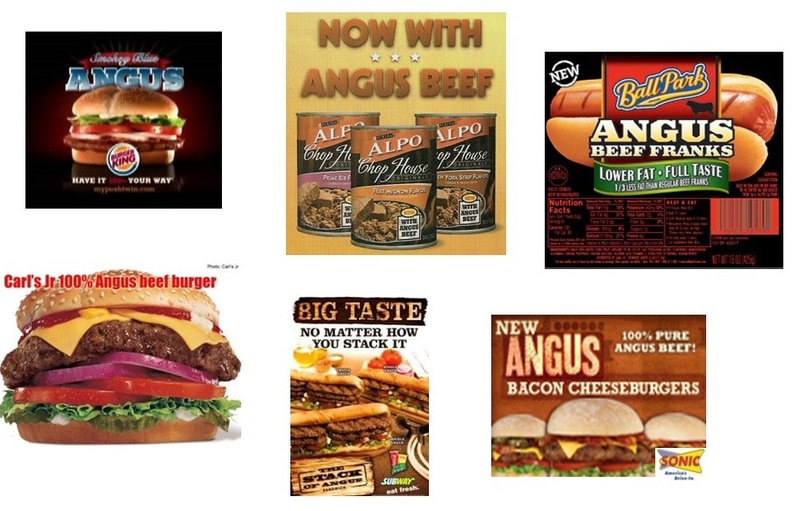 Just to clarify, Certified Angus Beef ® is not available at Wal-Mart. For a couple years, I did a weekly “Mythbuster Monday” segment on this blog. Then it seemed I’d taken on every high-quality beef misconception I could think of, but sometimes it just feels like the right time to dust off one of those posts. Fact: You have not seen Certified, Angus and Beef—those three words, together with this logo at McDonald’s or Wal-Mart or Sonic or the local farmer’s market. (And if you did, let us know and we’ll have a talk with them.) That’s the only way you know it’s Certified Angus Beef ® and not just Angus beef. To earn the brand, cattle must pass a total of 10 carcass specifications designed to provide predictably delicious beef. So, if that beef at Wal-Mart isn’t Certified Angus Beef ® that begs the question: What is it? There are 146 programs certified by the USDA. Of those only 97 are Angus programs and only 39 are Premium Choice. Packers want to do something with all the cattle USDA has already identified as Angus-type, so when they don’t make the brand there is a wide variety of programs they might fall into. 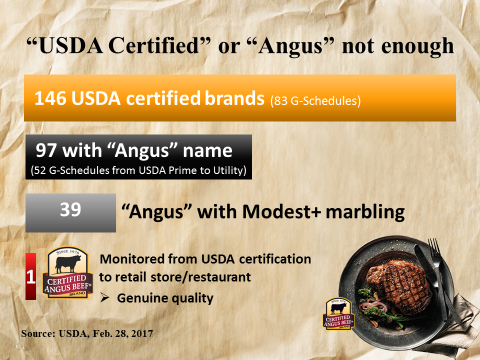 Only about three in 10 of these A-stamped carcasses end up as Certified Angus Beef ®, so the other 70% or so will fulfill the needs of companies like Hardees, Arby’s, Burger King and Mickey D’s. Are you ready to bring this good news story to the world? Check out our consumer website to load up on more facts. I could use a little help here.